When my two oldest boys were six and four years old, they disappeared from our backyard in Baltimore, MD. When we realized that they were gone, approximately ten minutes had passed since the last time I had seen them. That launched a 911 call, twenty-one adults (mostly strangers) leaving their jobs and homes, and 20 or more children themselves searching for my boys while my 88-year-old neighbor held my screaming infant so I could search, too. Just before we got word that they were found, my sister-in-law pulled up, sharing that she just gotten off the phone with my brother-in-law—who had been on his knees at his office since my husband called him—and he wanted her to let me know that God had given him assurance that the boys were OK and I would have them back soon. A neighbor had seen a strange car and my boys NOT in the backyard about the same time, and I just thought, “you HAVE GOT to be kidding me!” that she just said that to me. “How nice, that in the comfort of the corner of your office on your knees, you can have the audacity to feel self-assured that my kids are gonna be OK when you don’t have the first clue.” The only thing was… God been telling me since the first moment I realized they were gone that I needed to get on my knees and pray. But, I had to keep moving, had to keep looking, had to keep asking people if they had seen my children…had to keep moving, had to keep looking, had to keep asking…because that’s my role as their mom. Now, don’t get me wrong, I had been praying, asking God to bring my babies home. When the neighbor who saw the unfamiliar car told me what he knew, I begged the Lord to bring them home, bargaining with Him that even if I could never see them again, please at least let the person who took them be someone who just really, really wanted kids and that they would not do unspeakable things to my sweet, innocent boys. When the call came in that they had been found over a mile away from home (with painted faces, snacks for their “adventure” to Tennessee, and a metal baseball bat & metal fence post for protection), I hit my knees in thanksgiving in front of everybody, which is where I should have been all along. Now, please don’t misunderstand me, prayer is not always about being on your knees. Sometimes we literally cannot get on our knees physically whether it’s because we’re in a crowd or because we just can’t bend our knees anymore. But, what my brother-in-law did was right – he stopped everything that he was doing, leaving behind deadlines and work and pressure, and he went before the God of the universe to ask Him about my babies. I learned a big lesson about prayer that day, but, quite honestly, I still didn’t (and don’t) fully understand how to pray every day. It will be a life-long process. Just as we are often dehydrated throughout the day because we have not drunk enough water, we often neglect prayer because we do not fully understand the impact of it or even how to do it. 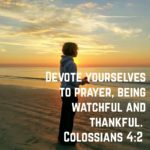 Do we know how to pray? Biblically, it is a valid question: “Lord, teach us to pray” (Luke 11:1). Jesus explains how to pray in Matthew 6:5-13 (The Lord’s Prayer), first giving points about how not to pray (publicly in order to be seen/praised, repetitiously, ramblingly) and then how to pray correctly (glorifying God, His will be done, daily provision, forgiveness, and protection from temptation). Lots of Christians throughout modern history have used to acrostic A.C.T.S. (adoration, confession, thanksgiving, and supplication) as a prompt or reminder on how to pray like Jesus taught. (Read more here about A.C.T.S prayer by RC Sproul) There are numerous writings about the Lord’s Prayer and ACTS prayer, and I highly encourage you to look them up, but we are going to conclude by looking at prayer from a different angle. Emphasize each word of the verse you are meditating on. As a family, you could have each person take a turn reading the verse, emphasizing a different word. For those who can, have each family member rewrite the verse in his or her own words. Ask the kids to share what they think the bottom line (principle) of the verse is. Each person can draw a picture or come up with an analogy to explain the verse. Have each person share how he or she can apply the verse to life right now. Discuss how the verse points to the life of Jesus, the gospel, or the Law. Discuss if a problem is solved or a question is answered through this verse. Please note: I use ‘verse’ in the meditation examples because with young children, you will often not have the attention-span time for more than just a verse. On your own, with your spouse, or with older children, you could opt to do multiple verses, a chapter, or even a whole book. If any (or all) of those seem overwhelming to add to your family prayer time, simply do this: Read God’s Word and then ask your kids to think about what God may be showing them from that verse(s). You may get a variety of answers; discern if God would have you address any fallacies or even some of the answers are a bit silly you may need to prompt the kids a bit. Even if you get childish or incomplete thoughts from the kiddos, they have begun the process of learning to take in and really contemplate God’s word before moving on to prayer. 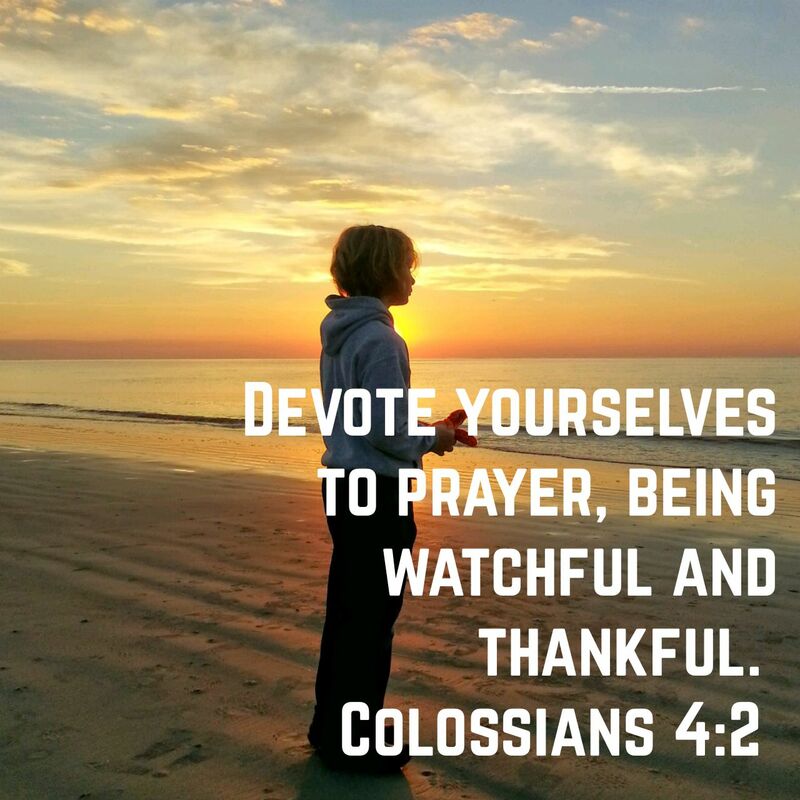 You will have exemplified one form of meditation, and when you pray for your family, each member will have a closer connection from the Word to the prayer.